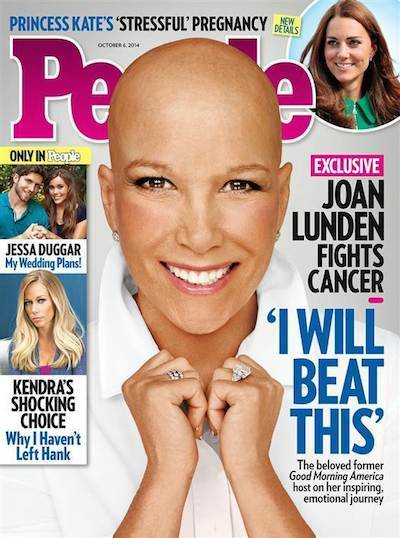 Joan Lunden, the former Good Morning America host, graces the cover of the latest People magazine. In June, Lunden announced that she had been diagnosed with breast cancer, and she has since undergone chemotherapy. People’s covers aren’t typically noteworthy, but this one clearly is.